Who are the very high resolution satellites ? Applications of very high resolution (VHR) satellites include urban mapping as well as mapping of natural resources and of natural disasters, tax mapping, agriculture and forestry analysis, mining, engineering, construction and change detection. These satellites can yield relevant data for nearly all aspects of environmental studies. Most of them can acquire panchromatic and multispectral data in 4 bands from visible to near infrared. IKONOS image detail (0.8 m resolution) of the Rio de Janeiro Port, Brasil (20/04/02). 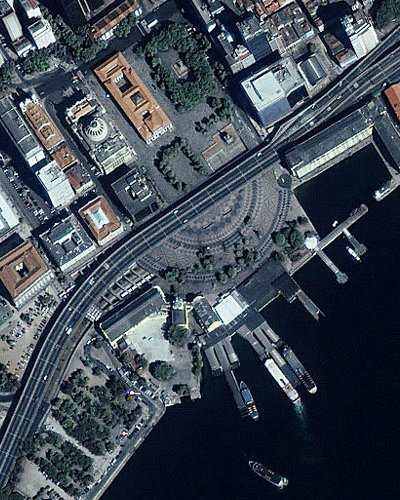 Source: © 2007 GeoEye. Click on the image for entire view. Click on the satellites for more information. 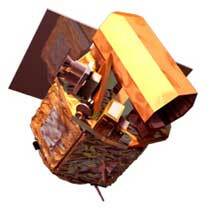 The IKONOS satellite was lauched on 24 September 1999. IKONOS images can reach spatial resolutions of 4 m in multispectral mode and of 82 cm in panchromatic mode. It is operated by the company GeoEye (USA). 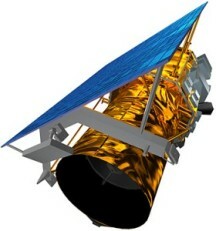 Orbview-3 provided similar data as IKONOS but is out of service since April 2007. It was operated by the company GeoEye (USA). 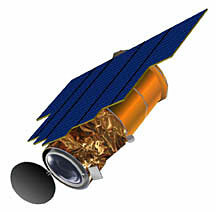 GeoEye-1 was launched on 6 September 2008. It is also operated by the company GeoEye (USA). 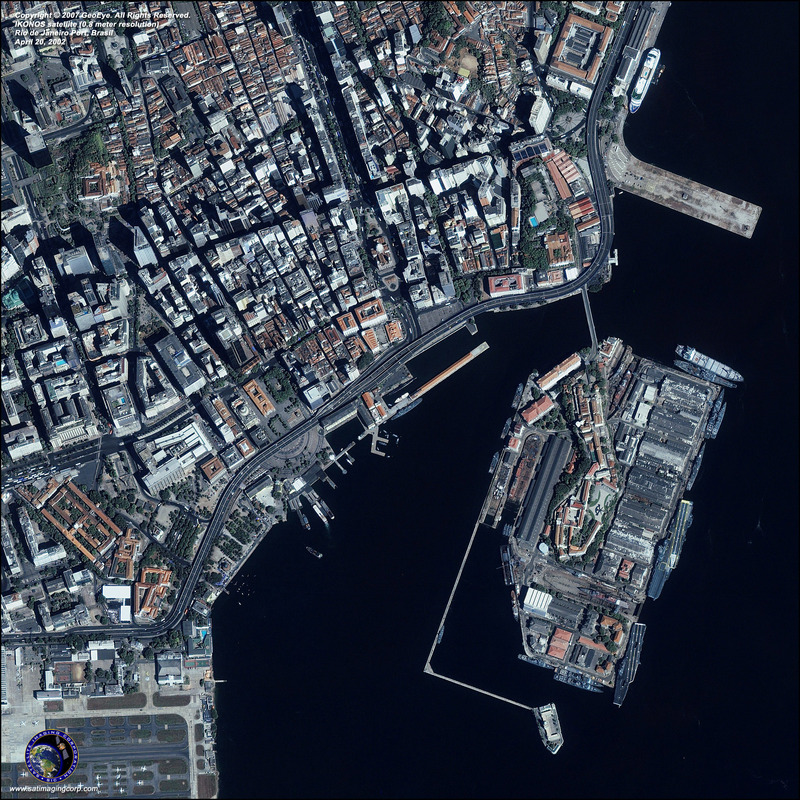 GeoEye-1 provides imagery with 41 cm resolution in panchromatic mode and 1.65 m in multispectral mode. QuickBird was launched on 18 October 2001. QuickBird collects image data to 0.61 m pixel resolution degree of detail. It is owned and operated by the company DigitalGlobe (USA). WorldView-1 was the most powerful commercial satellite when launched on 18 September 2007. It includes a panchromatic only camera with a 50 cm maximum resolution. WorldView-1 is owned and operated by the company DigitalGlobe (USA). Formosat-2 is the first high resolution satellite offering daily revisit acquisition services. 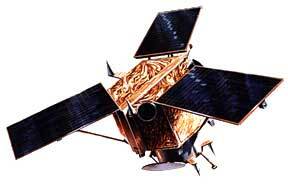 The satellite was launched by the Taiwanese space agency on 20 May 2004. Its maximum spatial resolution is 2 m. Images are commercially available from Spot Image. 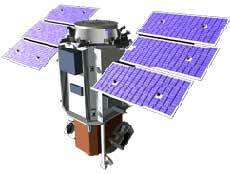 Korea's Kompsat-2 satellite was launched on 28 July 2006. Kompsat-2 data have a resolution of 1 m in black and white and of 4 m in colour. It is capable of acquiring up to 7,500 images with a ground footprint of 15 x 15 km every day (equivalent to 1.7 million km² a day). Spot Image is the distributor of Kompsat-2 data outside Korea, the United States and the Middle East.